Adding the yuan to the IMF’s reserve currency basket this year would be an easy win. It’s a big symbol for China but costs little for other constituents. Moreover, officially designating China as a lynchpin of the world’s financial system may convince it to act the part. 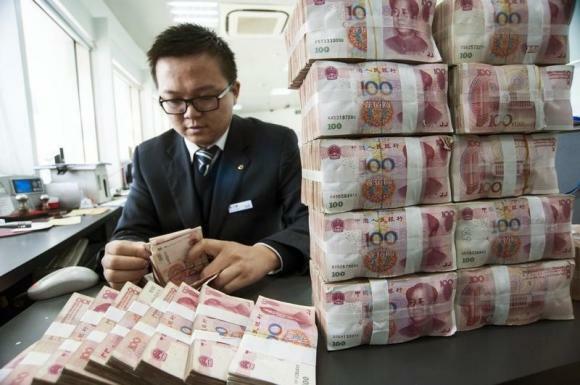 A clerk counts Chinese 100 yuan banknotes at a branch of China Construction Bank in Nantong, Jiangsu province December 2, 2014. Finance chiefs from the Group of Seven industrial nations agreed on May 29 that including China’s yuan in the International Monetary Fund’s currency basket was desirable, but said a technical review must be completed first. The basket which backs the Special Drawing Right (SDR) issued by the IMF to members currently comprises the dollar, yen, euro and sterling. Holders of SDRs can use them to draw down any of those currencies. Standard Chartered analysts predict that cumulative foreign net purchases of Chinese onshore bonds could reach 6.2 trillion yuan ($1 trillion) by the end of 2020 assuming SDR inclusion in 2015. They forecast such purchases could reach 4.5 trillion yuan if inclusion were deferred to 2020. IMF staff forecast China’s current account surplus will be 3.2 percent of gross domestic product in 2015. That compares with a 2007 peak of 10.1 percent of GDP.